Some books have teeth, even in Czechoslovakia. Let’s celebrate the end of our #ColdWitch research journey with a very special Bookburners crossover History Lesson. 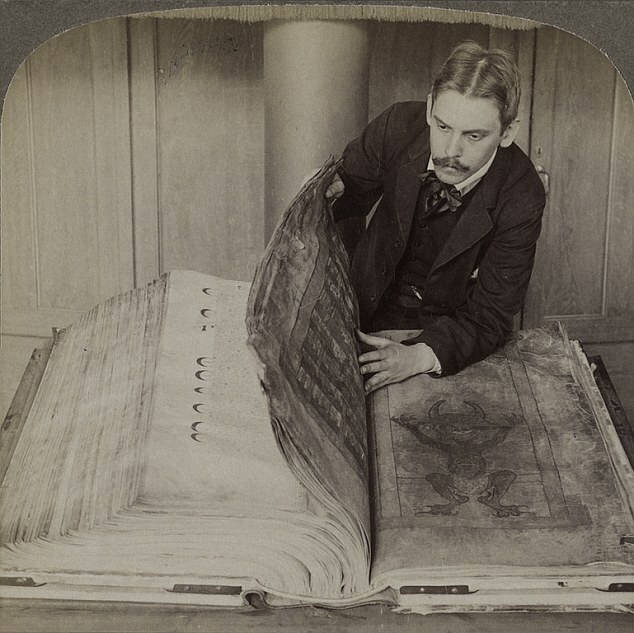 The Codex Gigas, also known as the Czechoslovakian Devil’s Bible, is the largest surviving medieval manuscript in the world. It is so large that, according to legend, it required more than 160 animal skins to complete. Yet its massive size is the least of this text’s majestic mystery. Inside this legendary tome is a full-page color image of the Devil, leading many to believe the pages themselves are cursed. Legend has it that a monk from the Middle Ages was sentenced to being walled up alive for breaking his monastic vows. To avoid punishment, the monk promised to write, in a single night, a book containing all human knowledge. As midnight approached, the monk became desperate and turned to Lucifer for help, offering to make a pact to finish the book in exchange for his soul. …Meanwhile, tests to recreate the calligraphy of the Devil’s Bible suggest it would take five years of non-stop writing to create it, according to a report in The Line Up. ‘Clearly, the author of this massive tome was possessed by something to create such a masterwork. Whether it was the power of light or darkness, is lost to time,’ the report claims.